In 1948 The Remembrance Playing Fields were built on land given to the people of Brandon, in that year, for the purposes of sports and leisure activities. 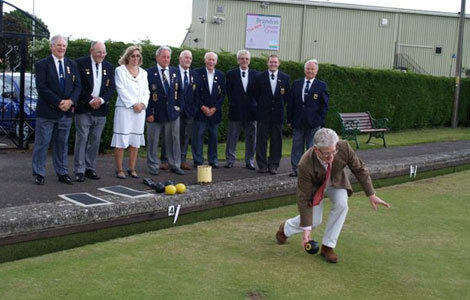 During the following year Brandon Town Bowling Club and its facilities were installed and opened. 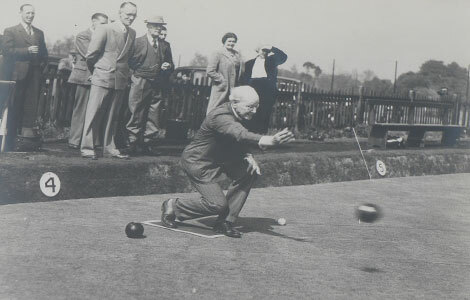 The club opened on Saturday 21st May 1949 with the first wood being bowled by Brig. Gen. H G J de Lotbiniere. On the 25th May 2014, Giles de Lotbiniere bowled the first wood to celebrate the 65th anniversary of the club.